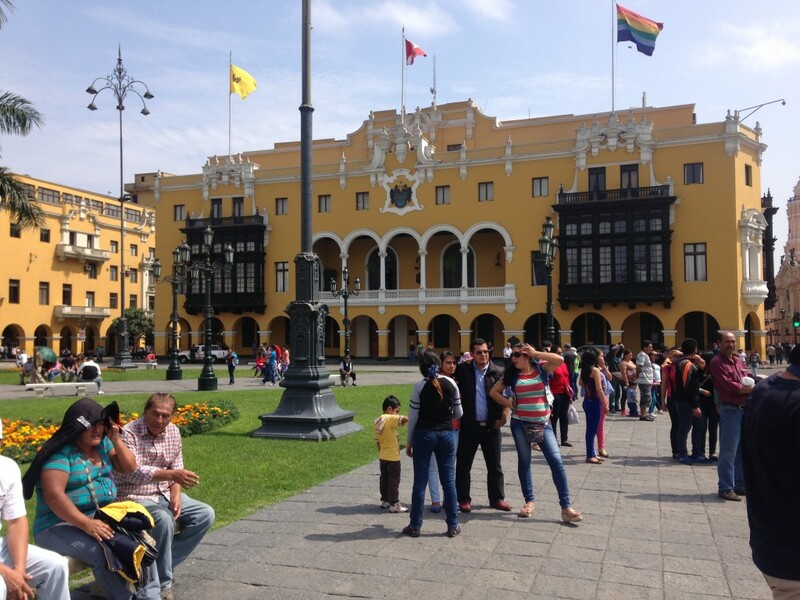 My holiday to Peru started in Lima, and finished in Lima. In between was a week in the Andes, to see one of the great wonders of the world, the lost Inca city of Machu Picchu and to wander a little in Cusco, a most delightful and friendly town with its Spanish colonial architecture mostly intact. A second reason was my planned visit to two Lima schools in company with Australia’s Ambassador to Peru, Nicholas McCaffrey. Two schools became three schools. The Australian Embassy has a modest annual budget to support a project in Peru that actively promotes something Australia is proud of and Ambassador McCaffrey believes that the Stephanie Alexander Kitchen Garden project might just be it. How exciting was that! Lima is a huge city of 10 million, expanding in all directions with the inevitable traffic snarls, and crowded living conditions. The centre of downtown Lima has elegant piazzas that change quite quickly into less salubrious areas. We were staying in refined Miraflores, an enclave of middle-class comfort, far removed from the reality of life as experienced by many. Our home away from home was the Belmond Park Hotel and it was delightful. At the end of most days touring and talking, its bar was a great place for a quiet Pisco Sour or other cocktail. I have been doing a lot of travel lately. 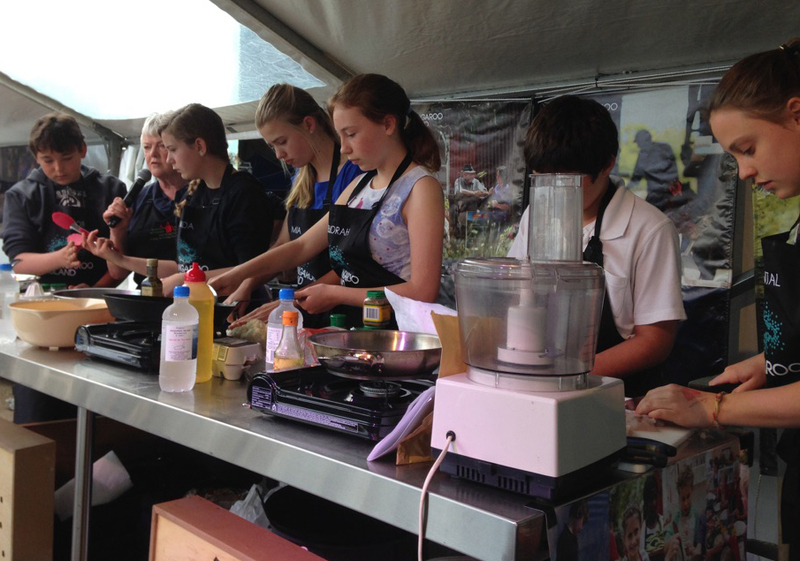 I was on Kangaroo Island to participate in two events at the annual FEASTival, intended to draw attention to all that is on offer in beautiful Kangaroo Island. I collaborated with local chef Kate Sumner to create a menu for the opening night dinner. My work with the Stephanie Alexander Kitchen Garden Foundation provided the inspiration for the garden theme for the evening and local gardeners were asked to grow salad seedlings in troughs and pots so that my idea of everyone snipping their own green salad could become a reality. And they did.